After working through a number of big fall titles, my October stack of books to read has balanced into a nice blend of major literary releases and some smaller-profile titles. 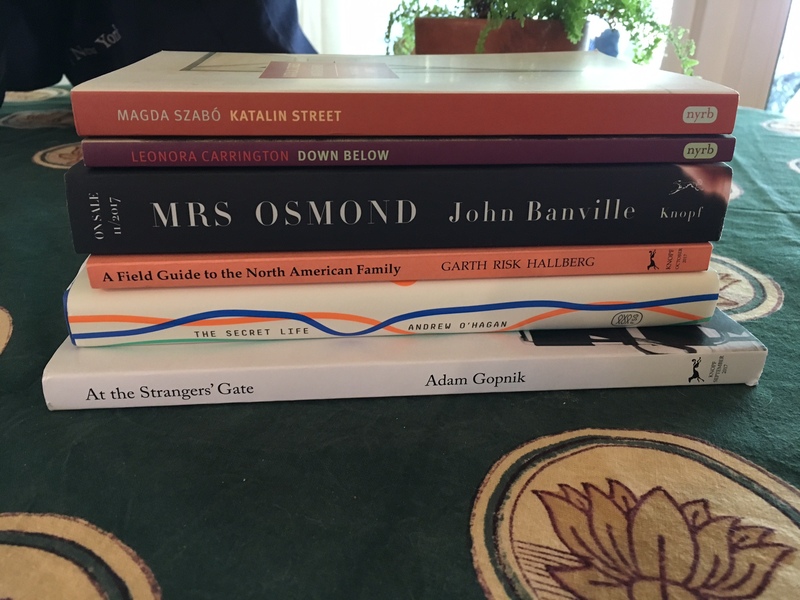 I’m particularly curious this month to see the general reception towards Garth Risk Hallberg’s Field Guide to the North American Family. After the hoopla that ushered in his debut City of Fire (much of which revolved around how young he is), how strange to follow it up with a reissue of a book he put out with a small art press ten years ago! I personally liked City on Fire, but it’s certainly not the great Dickensian masterwork that some folks proclaimed it to be. I’d like to see what Hallberg does with a little more maturity, but I guess this month we’ll all get to look the other way, and see where all that ambition came from.